Have you been a victim of a ‘slip and fall’ accident? Such accidents may be due to wet floors, or poorly lit stairways. Most times, they may be due to the defects when the site was still in progress. Whatever the case, slip, and fall accidents are quite dangerous. They are often associated with mild and severe bodily harm that can even alter your body for life and sometimes can be a reason for wrongful death. If you are a victim, you have the right to file a suit against the property owner for negligence. 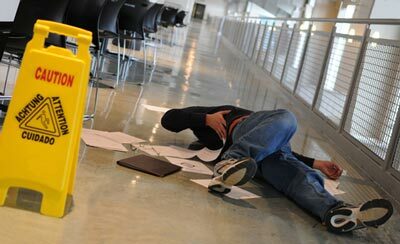 This can be done by hiring an experienced slip and fall accident attorney in Victorville. You can get one if you are in Victorville, CA when you come to Rawa Law Group. Rawa Law Group has stamped its name as a 5-star legal firm that boasts of some of the finest legal luminaries here in California. With our 55 years of combined legal experience, we have helped residents in making injury claims and cumulatively have received compensations running into several hundreds of millions for our clients. Come to Rawa Law Group and let us help you to maximize your ‘slip and fall’ accident claim. Our clients enjoy our ethical legal counsel and free consultation. The only time we require payment from you is after we have won your case. We make sure each of our clients is well represented and given the personal attention of an experienced attorney. That’s why we keep you informed about your case from the beginning to the end. Our lawyers are also available to make either a home or hospital visit when necessary. Also, we have flexible appointment hours to suit your schedule. To hire an experienced ‘slip and fall’ accident attorney in Victorville, CA, just contact us today and we’ll be happy to go through your case.